ivo has quietly launched its new Y-series smartphone, the Y79, in China. The smartphone closely follows the company's recently announced Vivo V7+ in design and sports a 5.99-inch 18:9 display. The Chinese company is promoting the Vivo Y79's face wake feature, and says it works "flawlessly." Notably, the face wake feature is available on a host of mid-range smartphones including Samsung Galaxy On Max and LG Q6. The handset's other biggest highlight is its 24-megapixel selfie camera. The company claims that the Vivo Y79 offers 84.4 percent screen-to-body ratio. The Vivo Y79 is now available to buy in China at CNY 2,498 (roughly Rs. 24,500). It can be purchased from the company's own website. Vivo says that the smartphone will start shipping from Singles' Day - which is on 11/11. It will be available in Champagne, Matte Black, and Rose Gold colours. 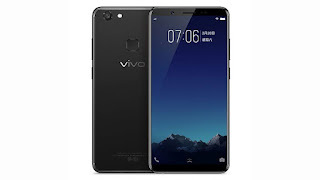 Much like the Vivo V7+, the Vivo Y79 sports a 5.99-inch HD+ (720x1440 pixels) IPS Incell 'FullView' display with an 18:9 aspect ratio with Corning Gorilla Glass 3 protection and 2.5D curved glass. It is powered by a Qualcomm Snapdragon 625 (MSM8953) octa-core SoC clocked at up to 2GHz coupled with 4GB of RAM. As for optics, the Vivo Y79 sports a 24-megapixel front camera with an f/2.0 aperture, 1/2.78-inch sensor, and a 'Moonlight Glow' soft selfie light. It comes with a 16-megapixel rear camera with an f/2.0 aperture and dual-LED flash. The smartphone features 64GB of inbuilt storage that is expandable via microSD card (up to 256GB). Connectivity options on the Vivo Y79 include 4G VoLTE, Wi-Fi, Bluetooth v4.2, GPS/ A-GPS, Micro-USB, 3.5mm audio jack, and FM radio. Sensors on board the smartphone include accelerometer, ambient light sensor, digital compass, and proximity sensor. The smartphone measures 155.8x75.7x7.7mm and weighs 160 grams. It features a 3225mAh battery. The company has also included the AK4376A Hi-Fi Audio chipset.